California fires utility customers May Be on Hook for Billions in Wildfire Damage. 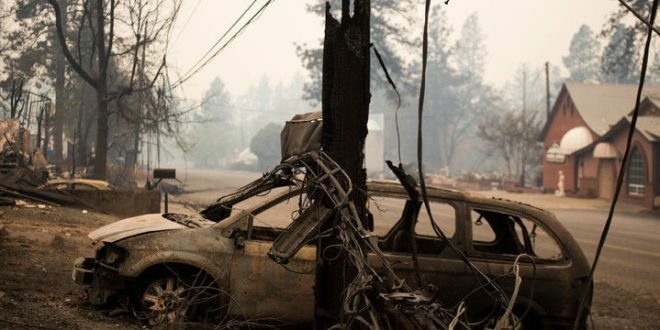 Investigators have yet to determine the cause of the deadliest of the current blazes, known as the Camp Fire, which has killed at least 56 people and destroyed virtually the entire town of Paradise, about 90 miles north of Sacramento. PG&E disclosed in a regulatory filing on Tuesday that an outage and damage to a transmission tower were reported in the area shortly before the fire started last week.